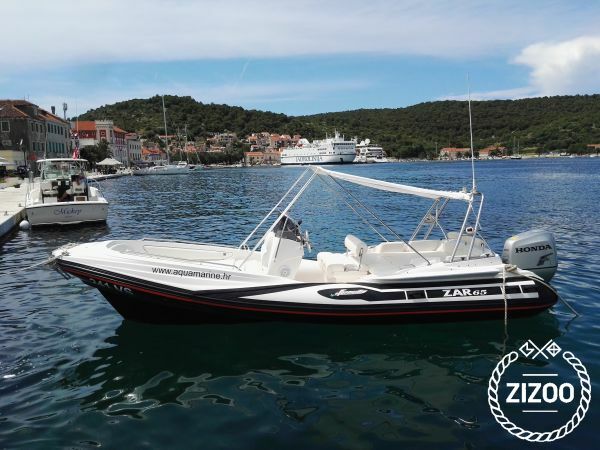 This is a perfect rib to explore area around island Vis or make an island hopping to a nearby islands like Hvar or Brač. World famous Blue cave and Stiniva beach are located on Island Vis, and that's just a small part of what you can see in a day. Contact us and we'll tailor a tour to your desires. The ZAR 65 is big, spacious, comfortable, fast and safe, soft on the waves, manageable and nimble also in the worst sea conditions. Two huge front and back sun beds, a comfortable back dinette with table, many many peaks and enough place for easy life on board. Note: The price does not include fuel costs. Requested 52 times this week!